Come see a movie tonight(8pm) at Nola Drive-In. 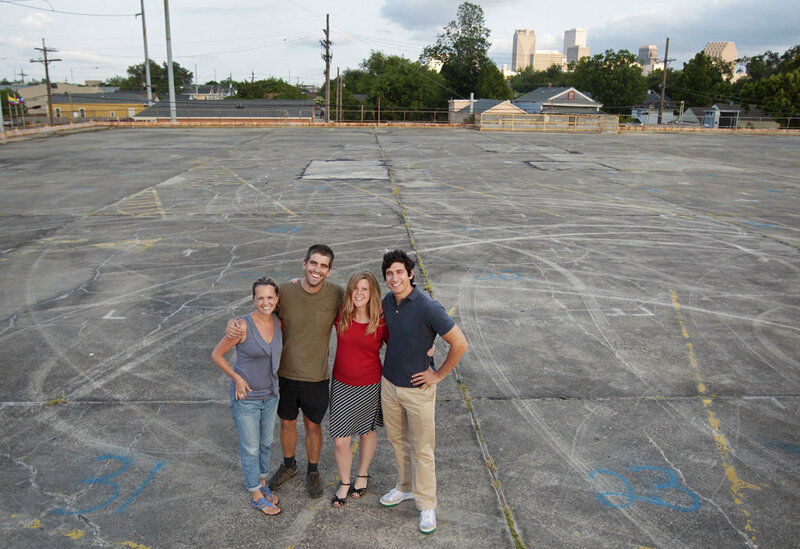 It’s a drive-in outdoor movie theater on top of the old Schwegmann’s super market in Mid-City. Tacos, snoballs, popcorn and beer will be sold. Get there early(now) for a spot in your car or bike(or walk) up and pull up a chair. Tonight’s movie is Wes Anderson’s first feature Bottle Rocket. Let’s hope this Nola Drive-In group keeps putting these things on every few weeks. I salute this kind of entrepreneurship and usage of blighted space.